A break away from the model railway layout can be served by our range of Great British Railway books, magazines, DVD's, in cab and rail cab videos in VHS and DVD format. 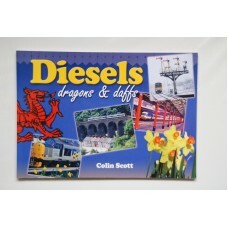 We stock a large range of railway related reading that covers rail topics such as the East Coast Mainline, Mainline railways, Wales and West railways, history of steam locomotives, the class of diesel locomotives to name but a few. Our range of motion media includes railway documentaries on DVD or VHS as well as complete collections of documentary series. We have collections of rail cab video filmed across many of the British rail networks, passing through many of the rail stations some of us know well. Book Introduction;From their earliest times there has always been a romanticism attached to our rail..